Motor Parkour is an awesome arcade game developed by Spiel. 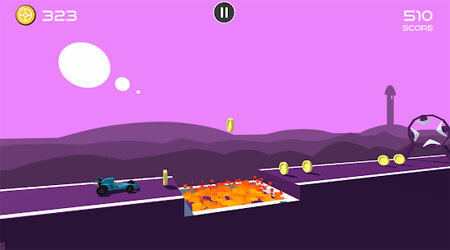 Jump and duck as you race through obstacles and perform Parkour with your cars. The game has simple controls and it is easy to learn. Tap right to jump, tap and hold left to duck. Challenge yourself and get to the top of Global and Country Rankings to win free coins. If you get stuck in the game, check out the video walkthrough and gameplay for the game. This entry was posted in Android Games, iOS Games, Mobile Games, Walkthrough and tagged Motor Parkour Cheats, Motor Parkour Gameplay, Motor Parkour Guide, Motor Parkour Strategy, Motor Parkour Walkthrough by Marvin. Bookmark the permalink.